Looking to add to your arsenal of family board games this holiday season? Then Lift It! Deluxe should be at the top of your list! 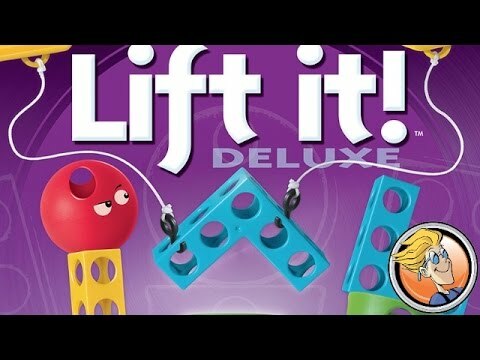 If you are looking for a new fun game to shake up the holiday festivities, then we definitely recommend that you add Lift It! Deluxe (by USAopoly) to your pile of family board games. It’s not just for kids either, the entire family (and neighbors if you want) can join in the fun. The general concept is that depending on where you land and what card you pick, you have to build structures using the Lift It! crane… but there is a catch… sometimes you get to use your hands, but other times you have to use your head… or even two heads! This game will definitely test your coordination skills.